Brought to you by Cadbury. It's egg hunting season and we, for one, have been all over the shops searching for those elusive white chocolate Cadbury Creme Eggs. They've managed to avoid us so far but we won't give up. If you're like us and have yet to get your hands on one of these much-coveted eggs, you'll be pleased to know that we're here to raise your chances of finding one. This time though, the eggs will be virtual. Cadbury has infiltrated the Her.ie website and has hidden some of their white chocolate Creme Eggs somewhere on the site. They want you to look for them and if you find one, you could win yourself a delicious hamper bursting with chocolate Easter goodies (we're eggstatic!). 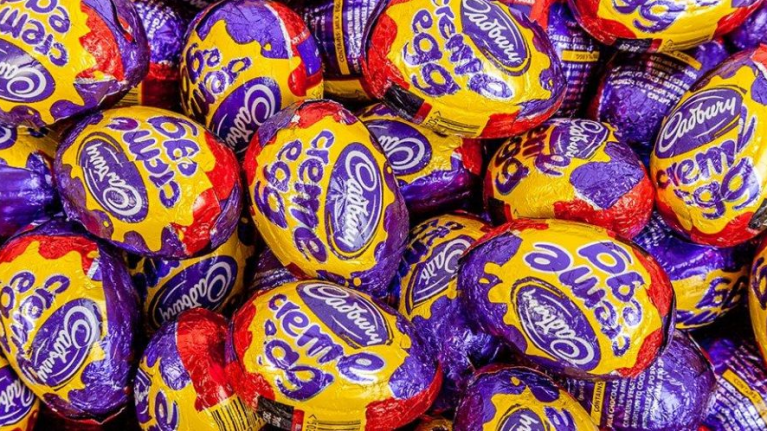 You'll have Creme Eggs to last you for weeks, plus some Cadbury Dairy Milk bars and an Easter egg. This will be some serious feasting. If you happen to see the white Creme Egg, take a screenshot and submit it with the form below and that's it! You'll be in with the chance of getting yourself your very own chocolatey hamper. Scrumptious. And the best thing? You can do all of this while you're laying (geddit) in bed. Egg hunting without moving a muscle? Sounds good to us. If you are having trouble viewing or submitting this form, please click here.